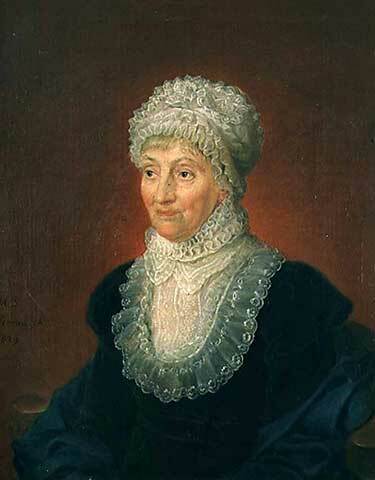 Caroline Lucretia Herschel was born March 16, 1750 in Hanover, Germany. Her father, Isaac Herschel, was a talented army oboist. At the age of ten, she was struck down with typhus, the effect of this often fatal disease was stunted growth; she never grew taller than four feet three inches; and her eyesight was impaired too. Her father, did his best to give Caroline and his other children the best education he could without having any proper education himself. He taught his children astronomy, music, and philosophy and Caroline soaked them up. Her mother believed that her daughter would ever marry and decided she should become a household servant discouraging the girl’s education whenever she could. However, after her father passed away in 1767 when Caroline was just 17 she decided to take greater control of her life and took up dressmaking courses and started to train to be a governess. The combination of her demanding mother and the demands of her studies led Caroline leave Hanover and join her brother, William, who was working as an organist in Bath in 1772. For 10 years brother and sister worked together, William playing the organ and Caroline singing. When William decided to abandon his musical career Caroline followed. In addition to assisting her brother in his observations and in the building of telescopes, Caroline became a brilliant astronomer in her own right, discovering new nebulae and star clusters. She was the first woman to discover a comet (she discovered eight in total) and the first to have her work published by the Royal Society. She was also the first woman in Britain to get paid for her scientific work, when William, who had been named the king’s personal astronomer following his discovery of Uranus in 1781, persuaded his patron to reward his assistant with an annual salary. After William’s death in 1822, Caroline retired to Hanover. There she continued her astronomical work, compiling a catalogue of nebulae. The Herschels’ work had increased the number of known star clusters from 100 to 2,500. Caroline died in 1848 at age 97 after receiving many honours. She was the first woman to be awarded a Gold Medal of the Royal Astronomical Society (1828), and to be named an Honorary Member of the Royal Astronomical Society. The King of Prussia presented her with a Gold Medal for Science on the occasion of her 96th birthday in 1846. In her journal, autobiographical writings and letters to relatives Caroline complained a great deal about her lot, she had spent a great deal of her life caring for her brother and her family. She neither meekly accepted nor publicly challenged the demands they made on her but she was was delighted by the formal recognition she received later in life. Sources: Wikipedia, https://www.britannica.com/biography/Caroline-Lucretia-Herschel, Rebekah Higgitt, lecturer in history of science and formerly a curator at the Royal Observatory, Greenwich writing in the Guardian 16/3/2016. When Labour swept into power in 1997, nearly one in four of its new MPs was a woman. And when all 101 of them were photographed with the Prime Minister, they became known as ‘Blair’s Babes.’ As it turned out for many of those women, the most pressing problem was not the chaos at the Palace of Westminster but childcare. 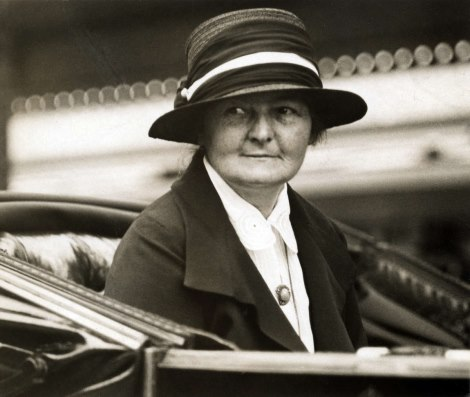 Labour’s first woman MP Margaret Bondfield found no such comradery. Margaret was born in 1873, the second youngest of eleven children in Chard in Somerset, a busy industrial town making lace, cloth and iron working among its trades. Margaret grew up in a family environment that encouraged social fairness and an interest in working class political movements. She was later to write in her book, ‘A Life’s Work’, that …”the old radicalism and nonconformity of Chard…must somehow have got into the texture of my life and shaped my thoughts….” Her anger at injustices she saw all around her may also have begun with her father’s dismissal from his lace factory job after many years of loyal service. She began her own working life as an embroidress then she worked as a shop assistant in Brighton and London. She was shocked by the working conditions and became an active member of the shopworkers’ union. Soon she began to move in socialist circles, and in 1898 was appointed assistant secretary of the National Union of Shop Assistants, Warehousemen, and Clerks (NAUSAWC). By 1910, she was working as an adviser to the Liberal government on their Health Insurance Bill, giving improved maternity benefits to mothers. This, along with her campaigning efforts for improvements in child welfare; a reduction in infant mortality rates and minimum wage laws cemented her activist reputation and paved the way for her subsequent political career. Her ideals owed much to a prominent role within the Women’s Co-operative Guild, leading to lifelong links with the Co-operative movement. But her political activity did not stop there she helped to found the Women’s Labour League (WLL) in 1906, and was chair of the Adult Suffrage Society. Her standpoint on women’s suffrage was at odds the movement’s more famous and glamorous leaders, she favoured extending the vote to all adults regardless of gender or property, rather than simply limiting women’s votes to the same as men’s. She stood for Parliament as a Labour candidate three times and was successful in 1923 when she won the seat for Northampton. History was made in early 1924, when she was appointed as Parliamentary Secretary to the Minister for Labour – the first woman ever to become a government minister. This was to be short-lived, however, as Margaret lost her seat in the following year’s general election regaining her place as an MP in the Wallsend by-election of 1926. Bondfield became Minister for Labour in 1929 amidst the worst economic crisis of country had ever seen. Her support for the government’s policy of cutting unemployment benefit for some married women was her political undoing; she lost her seat in 1931 and never went back to mainstream politics again. Bondfield remained active in NUGMW affairs until 1938, and during the Second World War carried out investigations for the Women’s Group on Public Welfare. She died in 1953; despite her years of service to party and union, and her successes in breaking through gender boundary has not been greatly honoured within the Labour movement. According to a later female cabinet minister, Barbara Castle, Bondfield’s actions in office had brought her close to betrayal of the movement. I think the same could be said about Castle, another great Labour woman, who suffered much the same fate with her ‘In Place of Strife’ proposal, an attempt to tame the power of the trades unions. It took another woman to do that, Margaret Thatcher; and that is another story. Sources: http://www.historic-uk.com/HistoryUK/HistoryofBritain/margaret-bondfield, Wikipedia, Guardian online 22/4/2007. Mrs Margaret Wintringham who became Member for Lincolnshire South in 1921 and became the Liberal Party’s first female MP. She represented her constituency until 1924. Margaret was a teacher and headmistress from Grimsby. Born Margaret Longbottom in 1879 in the West Riding she had a successful career outside politics, becoming a school headmistress and local magistrate and was active in politics particularly the National Union of Women’s Suffrage Societies. When her husband became the Member of Parliament for Lincolnshire South she went to London with him but he died in 1921. Later that year she stood for election and won in her husband’s constituency. When she agreed to stand, she insisted that she be exempted from any requirements to make public speeches during the campaign as she was still in mourning. Instead, she would attend meetings at which others would speak on her behalf, including both her two sisters (though some accounts suggest the idea for this silence came from party managers who were keen to encourage a sympathy vote). Support was also expressed by the Conservative Nancy Astor – who saw getting an extra woman in Parliament as more important than the candidate’s party label. 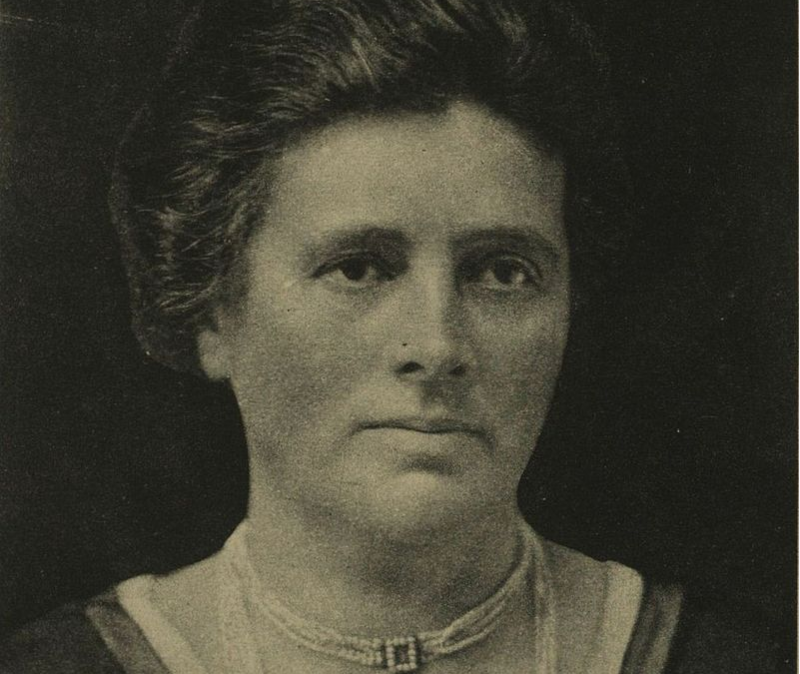 In Parliament she campaigned for an equal franchise; the Representation of the People Act 1918 had extended the vote to all men over the age of 21, but only to some women over the age of 30. She also campaigned for equal pay for women, for state scholarships for girls as well as boys, and women-only railway carriages. She lost her seat in 1924 and although she stood for Parliament in two more elections she did not get in. She became president of the Louth Women’s Liberal Association and from 1925 to 1926 she was president of the Women’s National Liberal Federation. In 1927 she was one of two women elected to the national executive of the Liberal Federation. Margaret Wintringham died in 1955 an obscure figure in the Liberal Party. Being ‘ordinary and radical’ she lacked the glamour and connections within the party to maintain her place in history. Astronomy, mathematics and physics were popular fields of study for many of the brightest 18th century women with access to money and books. 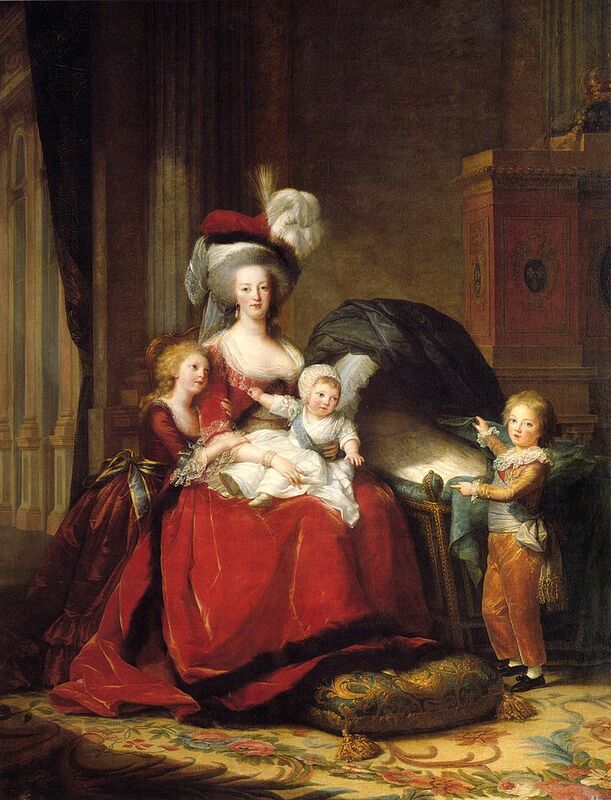 Gabrielle-Emilie Le Tonnelier de Breteuil, was one such woman. She was the daughter of the French court’s chief of protocol and her father rather unusually for the time encouraged her education. By time she was twelve she was fluent in Latin, Italian, Greek and German. Gabrielle-Emilie was a precocious teenager as well as a child genius; she liked to dance, was a passable performer on the harpsichord, sang opera, and was an amateur actress. Being short of money for books, she used her mathematical skills to devise highly successful strategies for gambling. Her mother Gabrielle-Anne was horrified tried to have her clever daughter sent to a convent. In 1725 Gabrielle-Emilie married the marquis du Chatelet at the age of 19 and lived the life of a courtier at the French court. She bore her husband three children but at age 27 she began studying mathematics seriously and then branched into physics. This interest intensified when she began an affair with the philosopher Voltaire. Their friendship, if not their affair, was lifelong and one of mutual respect and admiration. 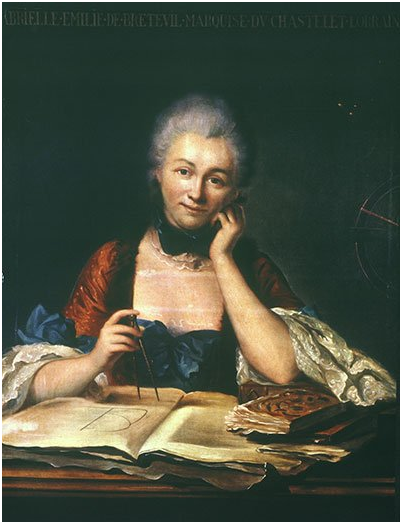 Her philosophical magnum opus, Institutions de Physique or Foundations of Physics, was published in 1740 when she was 34. It was an immediate success, circulated widely, and republished and translated into several other languages within two years of its publication. With a growing reputation in the world of men she participated in the famous vis viva debate concerning the calculation of the motion of orbiting bodies – the planets. However, Du Chatelet’s most lasting contribution to science was her French translation of Isaac Newton’s Principia, which is still in use today. 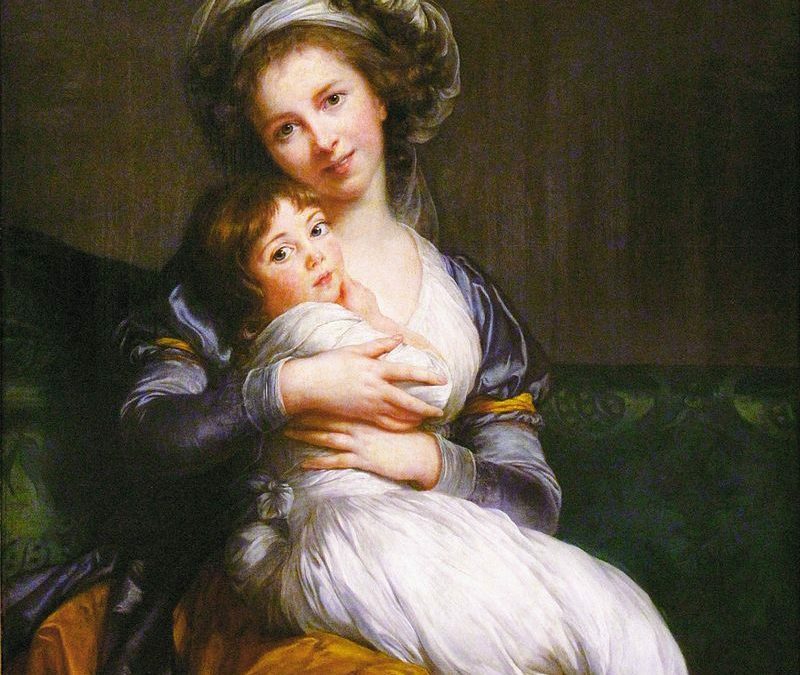 At age 43, she fell in love with a young military officer and became pregnant; she died following complications during the birth of their child. Posthumously, her ideas were included in the Encyclopédie of Denis Diderot and Jean le Rond D’Alembert. Sources: Smithsonian Magazine, Wikipedia, Illustration: The Granger Collection, New York.